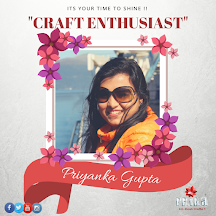 I’m so happy to be Guest Designing today at PRIKA. 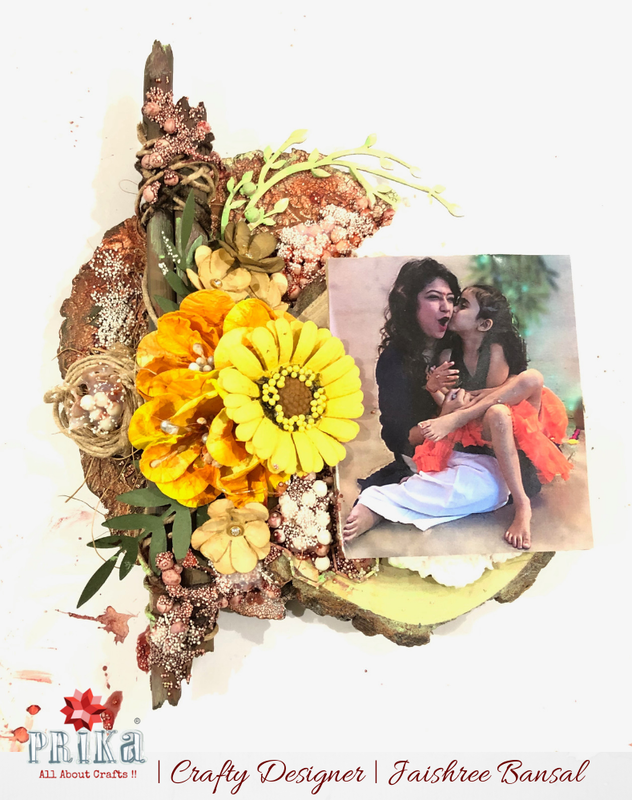 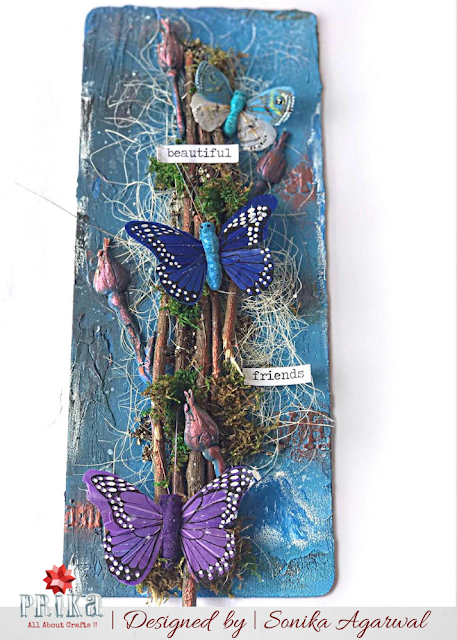 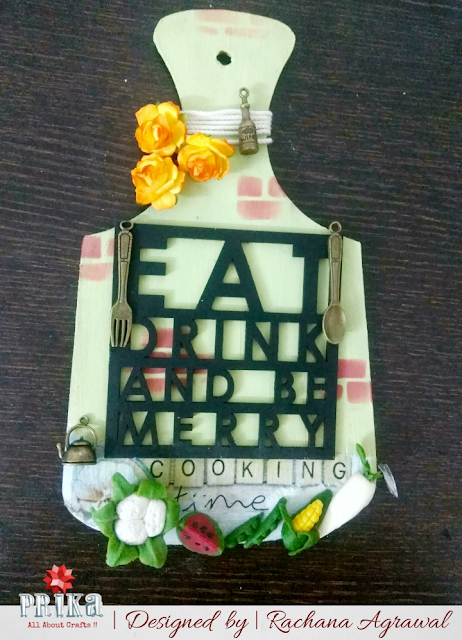 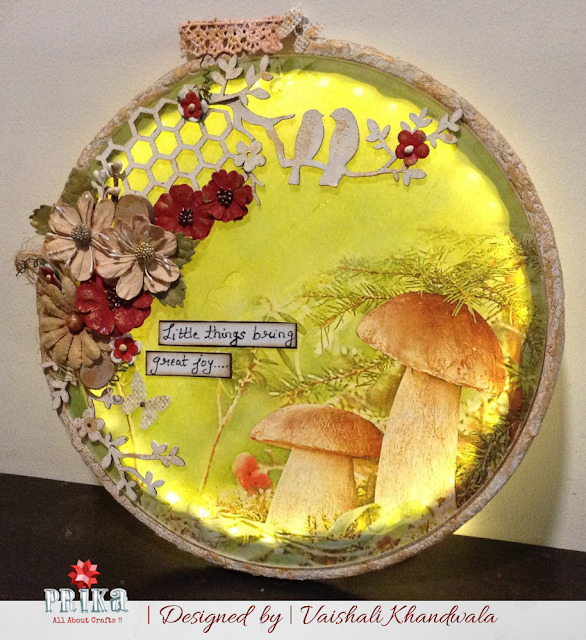 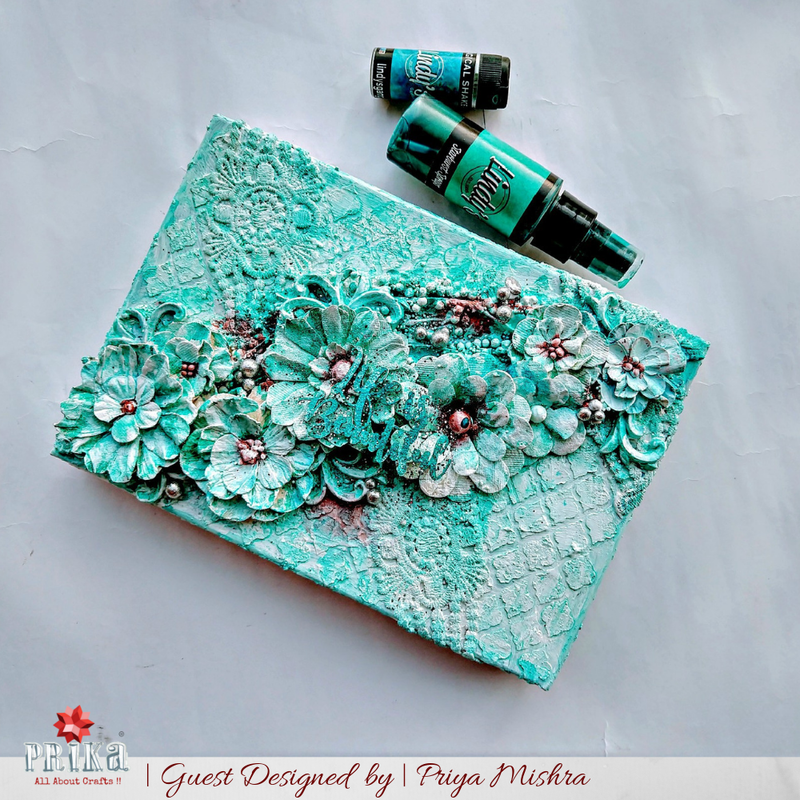 I made this altered box in line with the theme of this month’s challenge: "Winter Blues"
Myself Rachana, and today I bring you an altered chopping board that can be used as kitchen decor for this Friday Inspiration Project for you all. 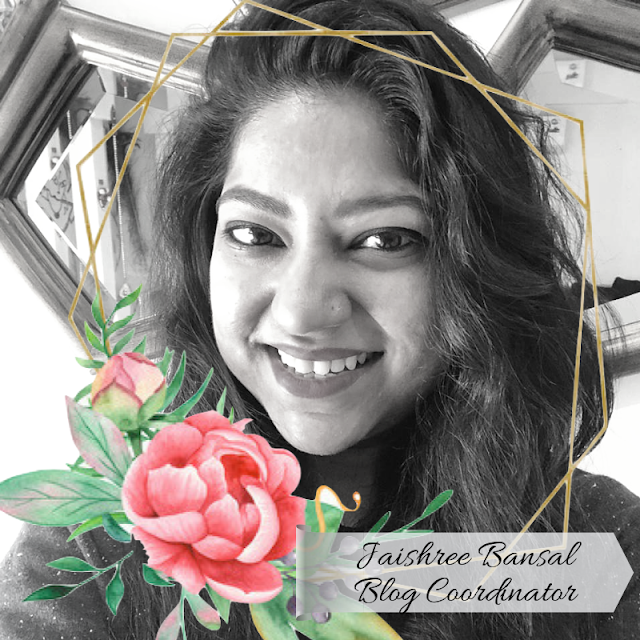 "Feeling fat last 9 months but the joy of becoming a mother lasts forever"
This is DT member Jaishree this side. 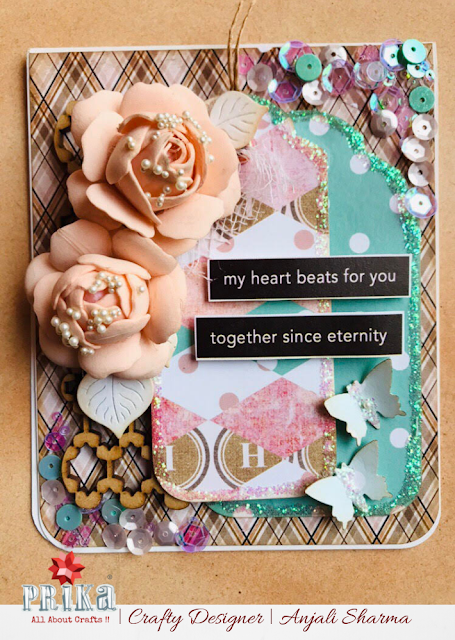 I was inspired by a fellow crafter to use my wooden slices lying around. I thought of creating a grungy vintage kinda layout on the wooden slices instead of regular cardstock. 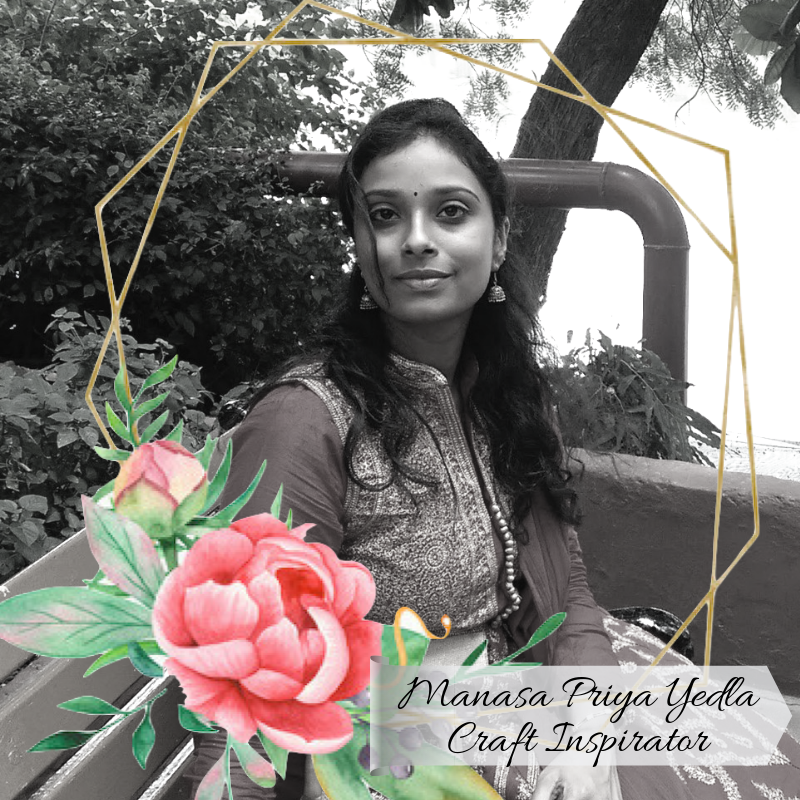 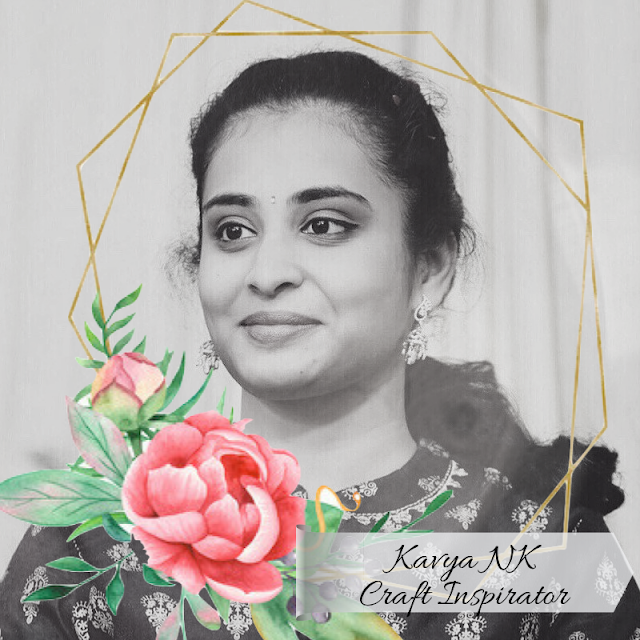 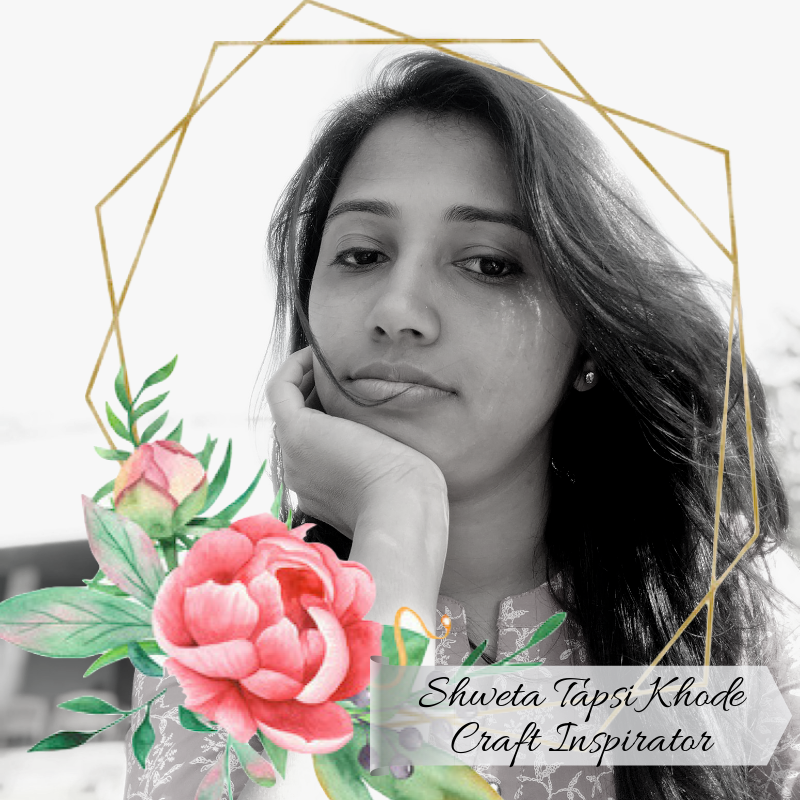 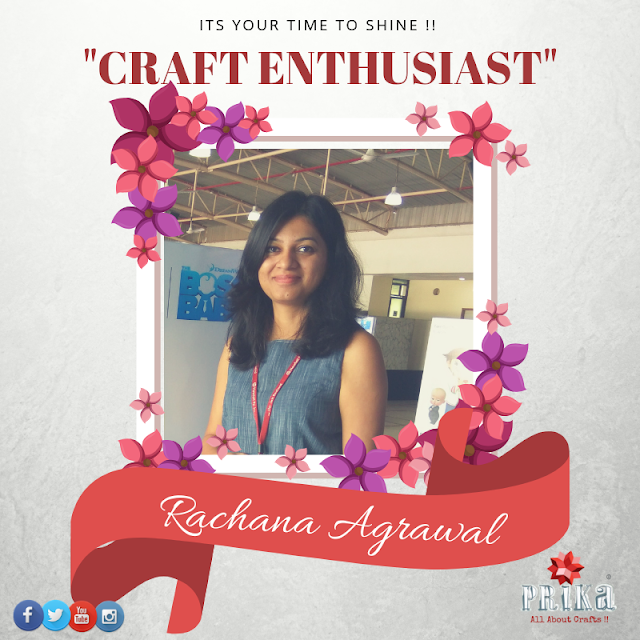 Hope you are all enjoying your crafting time well learning and experimenting new things, another Tuesday is here and we bring you story of another passionate crafter around us …”Craft Enthusiast of the Week : Rachana Agrawal ” who hails from Indore and now settled in Bangalore. 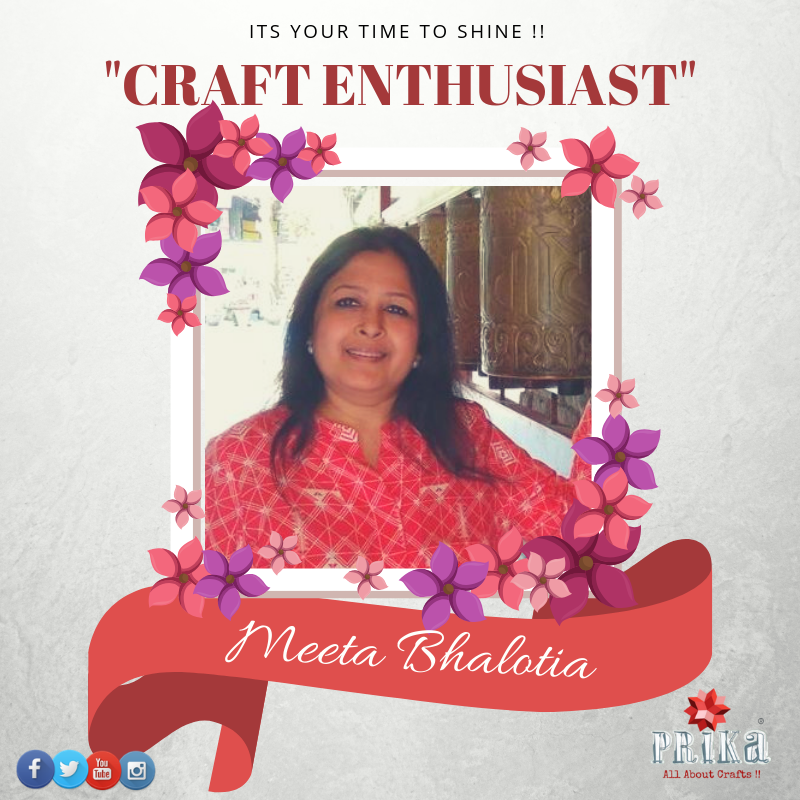 She is indeed performing many task all together at her perfection, being a mother, pursuing Phd. 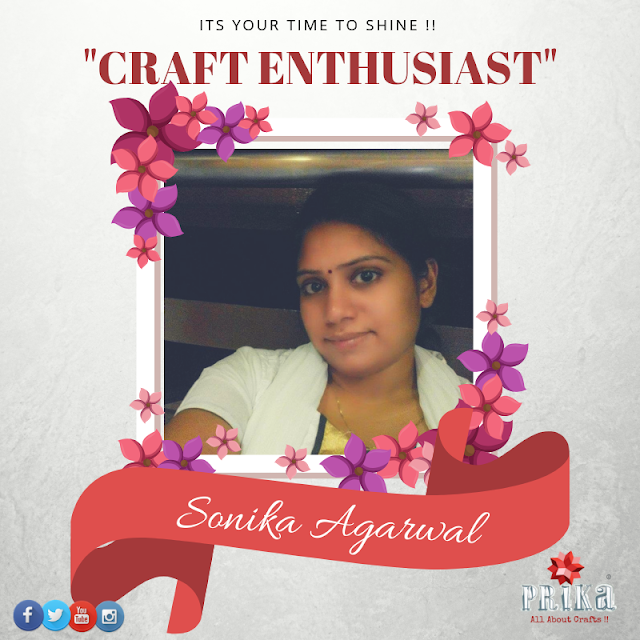 as well as managing her crafty venture. 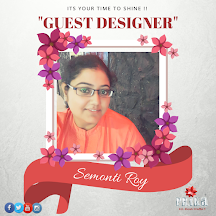 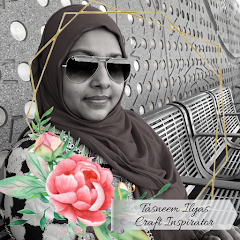 She loves making name boards and many other forms of art and crafts......There’s lot more to know about her journey and her passion for crafting in her own words…as well as some of her amazing projects she had worked upon! 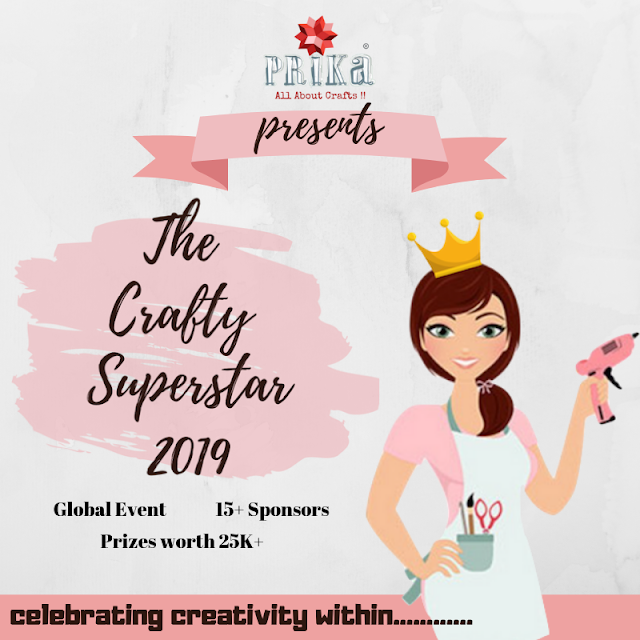 Another lovely challenge came to an end....and we got super amazing entries from you all filled with love...and lot of creativity. 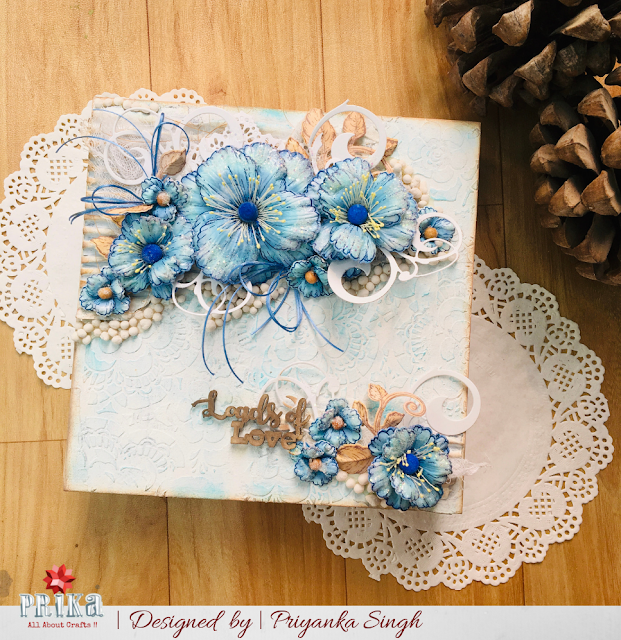 Here I am back with another lovely Challenge for this month along with creating this inspiration project going with the theme: "Winter Blues with a Twist"
This is DT member Jaishree! 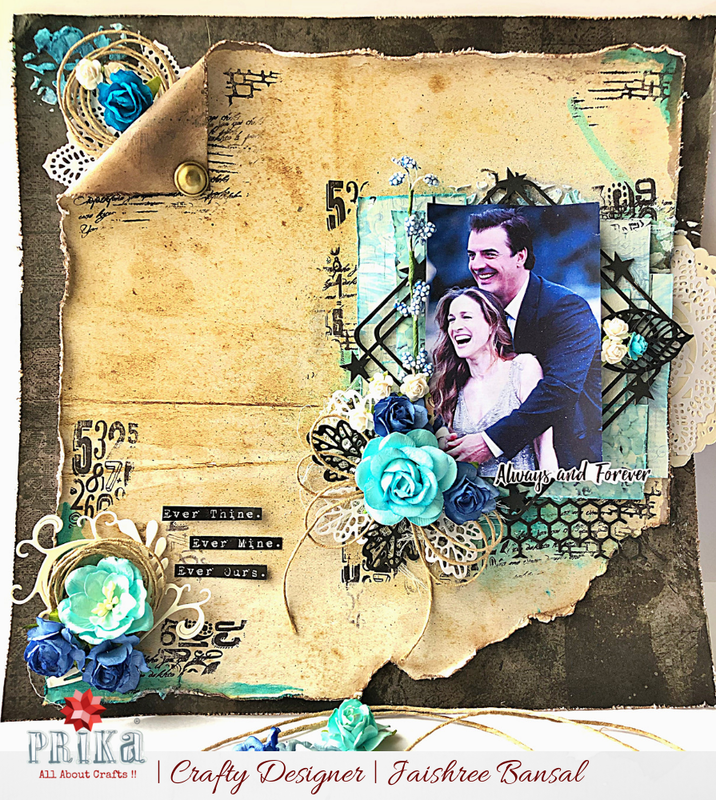 I have for you all a mixed media layout based on this month’s challenge mood board. Using blues and browns was a complete challenge for me as a person and crafter as I mostly work with dark metallic colours or completely pastel ones for my layouts. 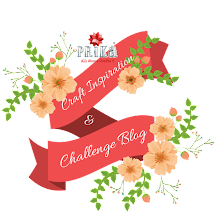 Today I am here with the new blog challenge theme which says "Winter Blues with a Twist"
And I have made a pretty card using cool pastel colours of winter. 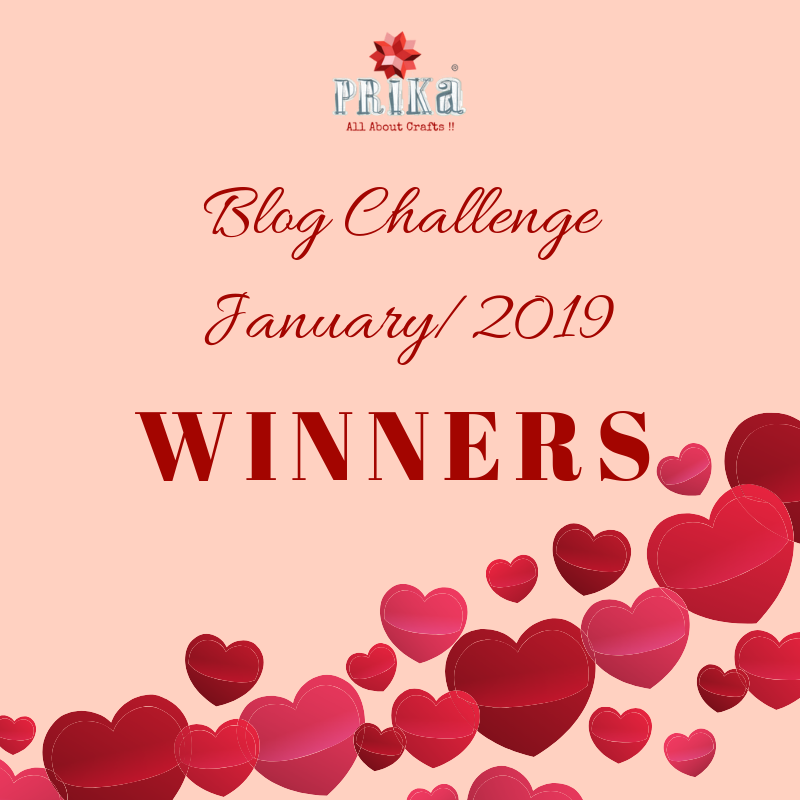 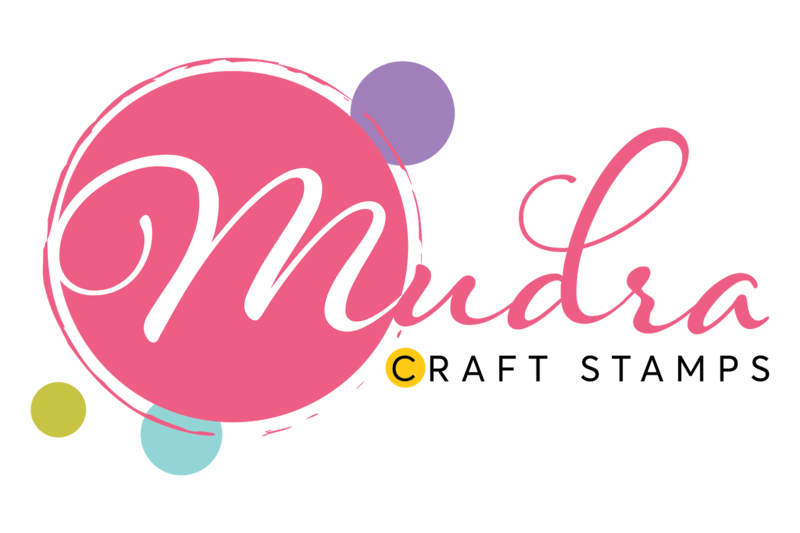 Blog Challenge February-2019 : "Winter blues with a Twist"
Last challenge has been truly amazing with so many projects filled with love!! 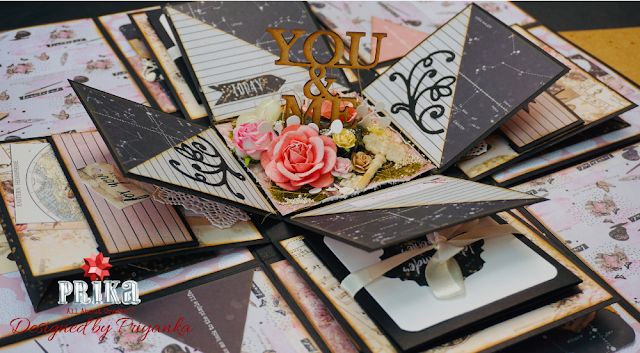 Truly Love was all around!! 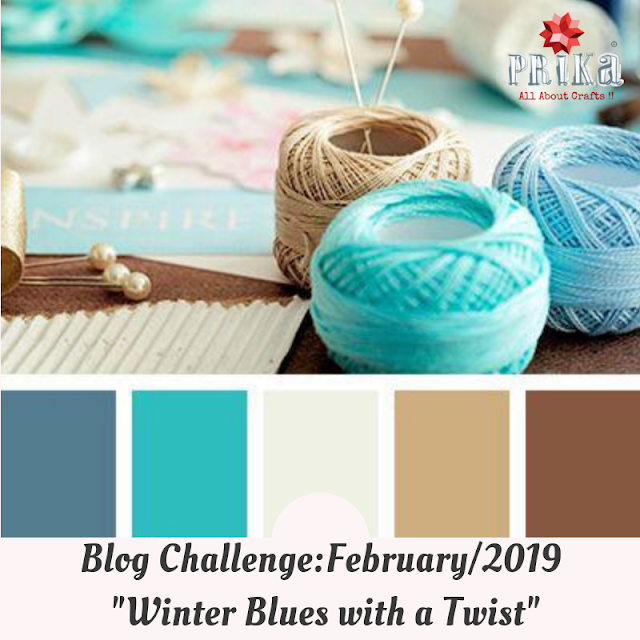 Let's begin with another lovely challenge for February themed with lovely blues after so much of pinks and reds......this time we have lovely colour palette with a twist to add ribbons, twines, threads to your projects to make it more interesting. 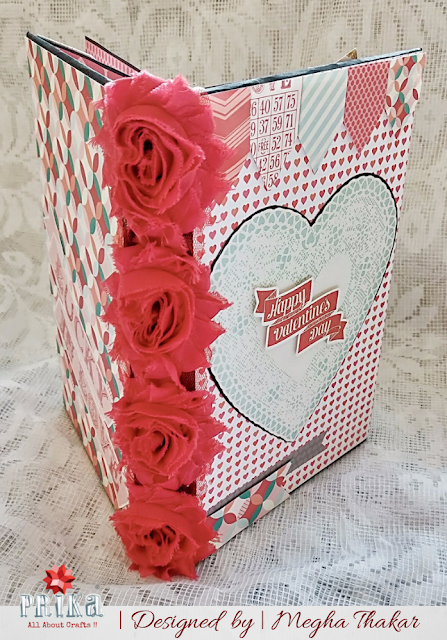 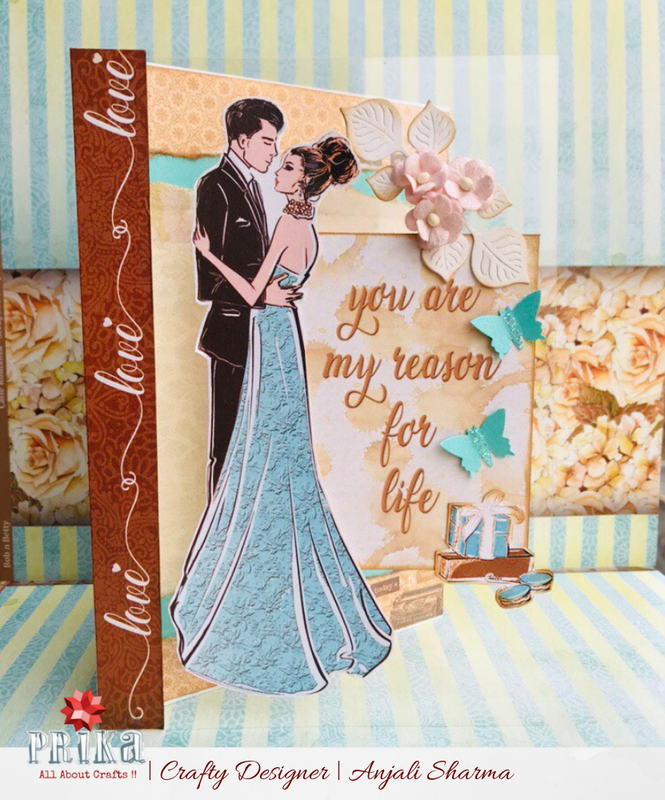 I hope all had a great time last day celebrating valentine's day, I am here on Prika's Blog today with Friday Craft Inspiration with a love themed folio album that I did recently. 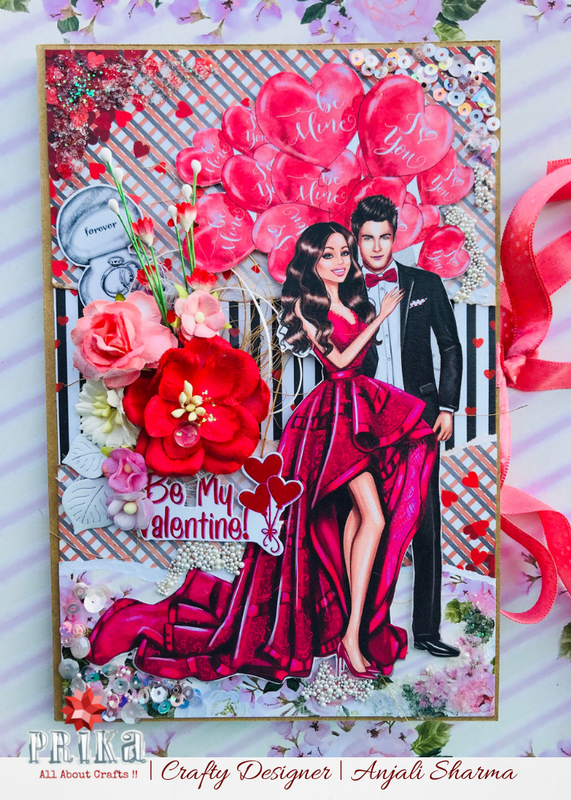 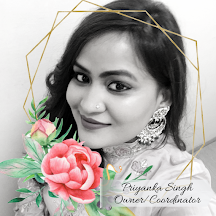 This is Anjali, Designer @Prika and I hope you all are set to celebrate the day of love and making some amazing cards, gifts for your loved once. And if not yet here am with super quick and amazing tutorials for you to make a Interactive Card as well as super cute Tags...So let's quickly begin to watch the complete tutorial!! 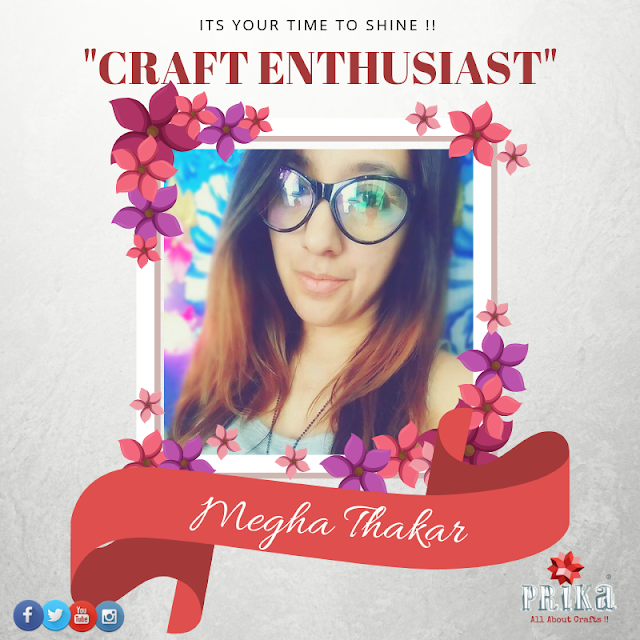 Hope you all are having fun making your projects filled with love.... and to keep it going well we bring you another inspiring story of a talented crafter …”Craft Enthusiast of the Week : Megha Thakar ” from the city of Gujarat she is truly an inspiration of all of who just want to do something good with our lives ahead, no matter what...we truly admire her spirit ….and u all are just going love her amazing scrapbooks.....There’s lot more to know about her journey and her passion for crafting in her own words…as well as some of her amazing projects she had worked upon!